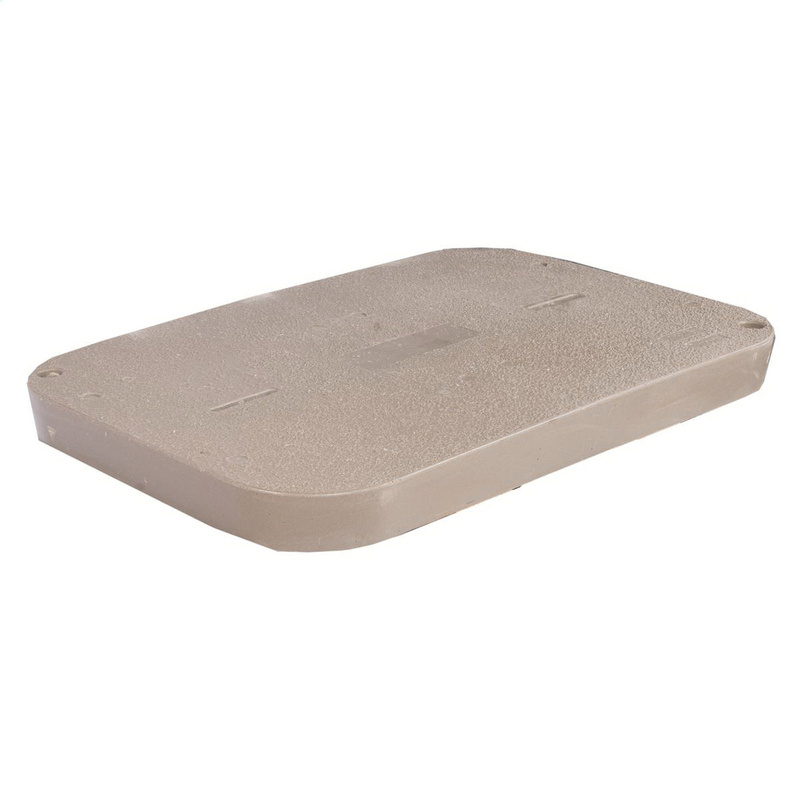 Hubbell-Wiring Quazite® Heavy duty underground enclosure cover in gray color, has polymer concrete construction for added strength and durability. It measures 3-Inch x 35.625-Inch x 24-Inch. This bolt-on cover with 15 tire, has a test load of 15000/22500 lbs. The cover includes two hex head bolts. This cover is suitable for electrical, water, gas utilities, telecommunication, transportation industries, driveway and parking lot applications. The enclosure cover is UL listed.